Something a little different for the school holidays? Be part of the art at the National Gallery of Victoria by watching your favourite movie, documentary or TV show in a constructed lounge room within the gallery. 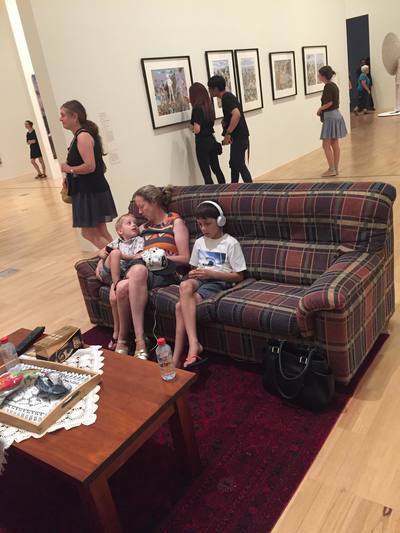 Participate in Einat Amir’s 'Coming soon near you' art installation, which makes up part of NGV Triennial. BYO favourite movie on VHS DVD or USB, sit back on a public couch and enjoy your chosen screening. Snacks provided by the NGV. This is art my friends. It is not a private screening of your favourite movie. All public visitors are welcome to join you on the couch. We did it. 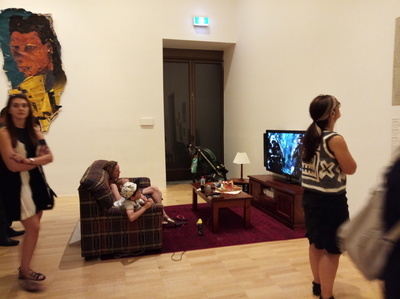 We became part of the art at NGV International. 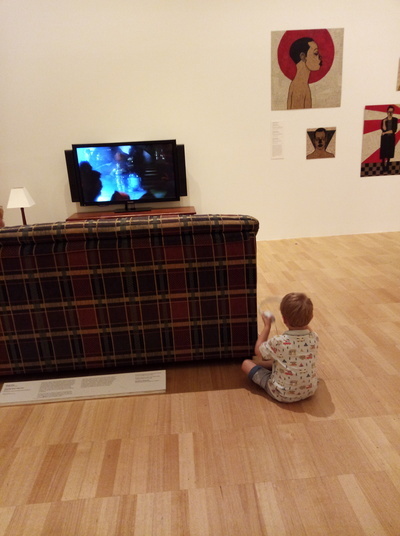 We booked in to watch Star Wars: Return of the Jedi (our VHS copy) on the couch of a little 'vintage' style lounge room set up on the ground floor of Melbourne's largest public gallery. Some might think this is absurd activity, others crazy but we quite liked the quirkiness of it! We met new people, some shared our snacks. Another family joined us on the couch for a little while. 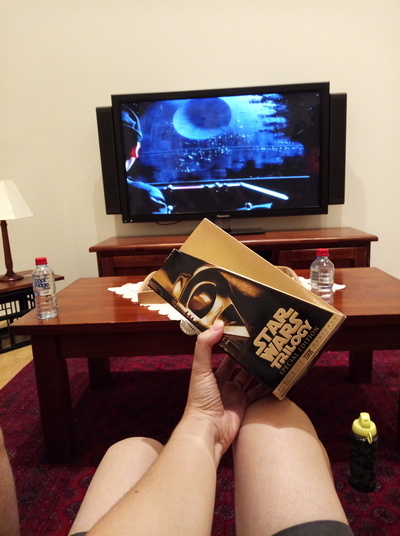 Others watched behind us and reminisced about the times they watched their favourite Star Wars movie. Parts of the movie where Little L usually hides behind the couch at home caused quite a stir ..in a cute kind of way. Because his hiding became public! Want to participate? It's FREE, book online in advance. When: till 15 April 2018.